Convicted murderer and bank robber Gabi Korsonsky, 35, received a sentence of life in prison plus 18 years at his sentencing Thursday in the Lod District Court. 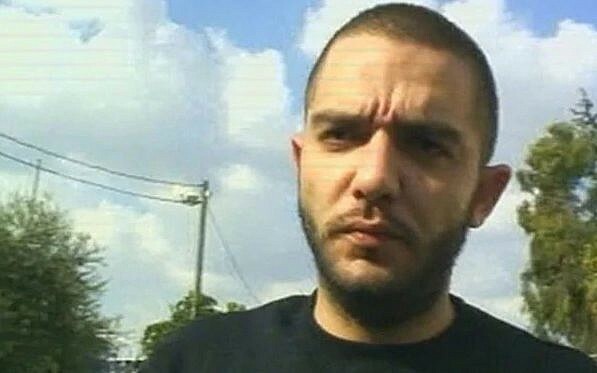 He is also ordered to pay NIS 258,000 ($72,000) in damages to the family of his victim, bank security guard Yaniv Engler. Korsonsky murdered Engler when the guard tried to stop him from entering and robbing a Bank Hapoalim branch in Be’er Yaakov, near the central city of Lod, on August 15, 2011. Korsonsky was convicted in October 2017 of Engler’s murder, as well as 14 bank robberies and several more minor charges, including illegal firearm possession and opening fire in a residence. The sentence amounts to the maximum allowed under the law. In all, Korsonsky stole some NIS 900,000 ($252,000) during his spree of robberies, according to investigators. He was finally captured by police after a bank robbery in Ness Ziona in December 2012. After the sentence was read out in the courtroom Thursday, members of the Engler family shouted at Korsonsky, “You dog, may God take you,” according to an account on the Ynet news site. Korsonsky insisted he was innocent of all crimes except two bank robberies, and his attorney vowed to appeal the conviction and sentence.